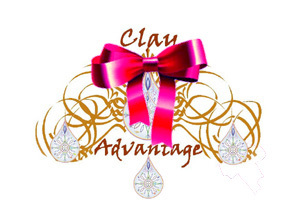 "Clay Advantage" The Gift to Health! Home of "Clay Advantage" the living Calcium Green Bentonite Clay This site is also a mobile site that can be used on your mobile device. http://clayadvantage.webs.com/ For additional clay videos click on the "you tube" logo at the bottom of your screen, on the Gray Blue bar. ClayAdvantage: All analysis performed on this mineral demonstrates that our unprocessed, natural clay is pure calcium bentonite/Montmorillonite, rich in trace minerals with primary anions of Magnesium, Calcium and Potassium. Independent laboratory studies have also concluded that this clay is free from pathogenic organisms and that in hydrated colloidal form the clay inhibits the growth of staphylococcus aureus, including MRSA. Therefore it is used against these pathogens in alternative medicine. ICP-Mass Spectrometry Analysis and Certification has been done for purity, in addition "ClayAdvantage" contains 578.1 PPM trace mineral content. This site is for clay education and research, we do not sell any products here. DISCLOSURE: This information has not been evaluated by the Food drug Administration or Federal Trade Commission.This information is not intended to diagnose, treat, cure, or prevent any disease. Any information here in is for educational purpose only; it may be news related, speculation or opinion.Always consult with a qualified Medical Doctor before deciding on any course of treatment, especially for serious or life-threatening illnesses. Fair Use Notice This site contains copyrighted material the use of which has not always been specifically authorized by the copyright owner. We are making such material available in our efforts to advance understanding of environmental, political, human rights, economic, democracy, scientific, and social justice issues, etc. We believe this constitutes a fair use‖ of any such copyrighted material as provided for in section 107 of the US copyright Law. In accordance with Title 17 U.S.C. Section 107, the material on this site is distributed without profit to those who have expressed a prior interest in receiving the included information for research and educational purposes. For more information go to :http:/www.law.cornell.edu/uscode/17/107.shtml. If you wish to use copyrighted material from this site for purpose of your own that go beyond fair use‖, you must obtain permission from the copyright owner.